Like Massimo, I attended the 2012 American Philosophical Association Eastern Division conference the week before last. Unlike Massimo, I didn’t attend the “problem of counterfactual philosophers” session. I could have; in that sense, I suppose that I am one of those counterfactual philosophers. Or perhaps I’m not, but I might have been. It’s all very complicated, and so we philosophers make work for ourselves. There’s a kind of poignancy in the conference ending with a discussion of counterfactuals. As Massimo noted, the APA traditionally holds its Eastern Division conference on December 27-30, and so the last session ends with mere hours left in the calendar year. That’s generally a time that people spend looking back on the past twelve months, taking stock of all that did happen, all that didn’t happen, and all that might have happened — that is, factual events and counterfactual ones. Talking about counterfactuals is especially poignant for me. You see, I am a modal realist. By taking this position, I place myself in a small minority of philosophers; by publicly admitting to it, I place myself in an even smaller subset of that minority . To call modal realism controversial would probably be generous. Most philosophers to whom I’ve spoken see it as akin to belief in Santa Claus: probably harmless, but definitely naive. If they would suspend their condescension long enough to consider the theory in earnest, though, I think they might find it as a nice complement to the ongoing effort to naturalize philosophy. So here we go: my two-part examination of one of the skeletons in Philosophy’s closet. First up is a description of the theory; next will be my take on how it can be more palatable than respectable philosophers admit. It all comes down to the deceptively simple act of thinking about how things might have gone differently. I had eggs for breakfast, but I could have had cereal instead; since I do have a box of Cheerios in my cupboard and a carton of milk in my refrigerator, surely that latter part is true . But what makes it true? Certainly not me, who didn’t actually eat cereal; certainly not the cereal, which actually remains uneaten; certainly not anything else in this world, all of which seems somewhat irrelevant. If you’re a naturalist, or a metaphysical realist, or an empiricist, there’s a problem with reference in a counterfactual proposition like “I might have eaten cereal.” It seems like the statement is true of me, but not by virtue of anything I’ve actually done. This is a question of what some philosophers call truthmakers: since a counterfactual proposition is about something that did not actually happen, it seems that there’s nothing in the actual world that makes the proposition true. We take simple counterfactual propositions to be true, but their failure of reference to anything actual makes it difficult to evaluate their truth. It can be a bit of a paradox. In the past century, logicians have done quite a bit to work out the truth-valuation of apparent failures of reference. For example, a proposition like “the tyrannosaur beside me is totally awesome” doesn’t have a truth value prima facie — there is no dinosaur beside me that is totally awesome and no dinosaur beside me that isn’t totally awesome — and so seems to contradict the Law of the Excluded Middle, which is one law that even a financier couldn’t violate. Bertrand Russell developed a way of avoiding the contradiction: when I say “the tyrannosaur beside me is totally awesome,” I mean that “there exists a tyrannosaur beside me that is totally awesome,” and that latter proposition is clearly false. A good number of logicians now endorse this “theory of descriptions,” or at least some modified form of it, as the best way to evaluate factual propositions. There’s a similar way of elaborating counterfactual propositions so that we can give them truth values. I may say that I might have had cereal, but what I really mean is something like, “there exists a possible world on which I had cereal.” The truthmaker of the counterfactual proposition, then, is not me; the proposition is made true by a possible world different from the actual world. This insight is the basis for various systems of modal logic, which evaluate arguments made using counterfactual claims . Thinking about possible worlds comes naturally. It’s a fairly standard trope in science fiction. But fiction seems insufficient: we don’t (and shouldn’t) think of the movie Shrek as a truthmaker for the possibility of talking donkeys . But (as long as you accept one of the theories linked above) stories don’t make propositions true; reality does. So why should our ability to imagine possible worlds amount to anything? It’s a relatively simple theory. It resolves the truthmaker problem easily. Almost everybody to whom I’ve ever spoken thinks it’s incredibly stupid. I did not mistype that last part. Okay: I’ll admit that there are some obvious problems. First of all, this doesn’t seem to resolve the problem of reference since counterfactual claims about me are made true by some other-worldly alien who just happens to be a lot like me . It seems like we’ve exchanged failure of reference for mistaken reference. Additionally, to say that other possible worlds are spatio-temporally disconnected from ours is to say that they’re completely unobservable in principle, which is suspiciously convenient (like certain other concepts that come to mind). These objections are spurious, and the second more so than the first. Yes, possible worlds are unobservable, but so too are free will and causation and identity overtime. That’s why this is metaphysics rather than, say, physics. If you don’t like it, then I’m sure that Sam Harris or Lawrence Krauss would love to sell you a book. For my part, I stay away from fiction. Unlike me, a majority of philosophers do prefer fiction, or at least the idea that possible worlds are fictitious constructs. We get these fictional worlds through the imaginary rearrangement of actual objects, properties, and/or events. So: I didn’t have cereal this morning, but Joe McMadeupguy did and we can easily imagine me in Mr. McMadeupguy’s place. Philosophers tend to prefer this account, but this is hardly a better way of avoiding the first objection to modal realism. If anything, it should seem less plausible that Joe McMadeupguy is a truthmaker for a claim about me; hell, I’ve never even met the man, and at least my otherworldly counterpart bears a nearly-complete resemblance to me . Worse than that: on the fictionalist account, any counterfactual proposition should be strictly false, since (by definition) there would not exist any possible worlds on which the counterfactual proposition is true. I’m sorry, modal fictionalists; surely you expected me to think that the words you use really mean what they do, in fact, mean . To be fair, a more serious objection can be raised against the traditional presentation of modal realism. Following David Lewis, modal realists tend to assert the existence of an infinitude of possible worlds: there exists a possible world for every true counterfactual proposition and we may construct infinitely many counterfactual propositions. But this seems to get the correspondence theory of truth backwards. It’s like saying that true propositions make possible worlds real, rather than real possible worlds making propositions true. That would indeed be hogwash. I’ll admit it: I have no good response to that objection. Semantics is a poor guide for metaphysics. If it weren’t, then you should be able to physically separate the color black from my hair, or have a left side of a square without a right; after all, these concepts are semantically separable from one another. So it would indeed be a problem for modal realism if its metaphysics depended on semantics. I would ask you to sit down, determinists, but it’s not like you have a choice in the matter. These systems of logic are more useful than I’ve made them sound. It’s very difficult to speak meaningfully of things like laws of nature and causation without helping oneself to counterfactual claims. At 6:13 pm on 17 October 2012, I got an unprecedented number of colleagues — three! — to agree on this point. Quod erat demonstratum! It’s an interesting fact about modern philosophers that a good proportion of us can name the losing Democratic candidate for president in the 1968 election. Most of us have read the book wherein Saul Kripke famously proclaimed that the actual Hubert Humphrey probably wouldn’t get much comfort from his counterpart’s success. If you want to get technical about it, there are more subtle problems with this “counterpart” relation. To wit: Lewis says that I may have multiple counterparts on a single other possible world, and that this relation is ultimately stipulative; however, if we’re just going to stipulate the counterpart relation, then we might as well stipulate the truth of counterfactual claims. But stipulating the truth of propositions is one hell of a slippery slope. Why not just stipulate the truth of everything I say? Actually, that sounds like a good idea. Never mind. For more, see John Divers’ 1995 paper on modal fictionalism, which would have been an important influence on me if I had known about it ten years ago. This is very interesting, but I think that your description of the argument for modal realism reveals a simple line of response. Possible worlds semantics is... *semantics*, which means that it is a theory designed to tell us about the meaning of sentences, not about the truthmakers for sentences. It's easy to conflate those two questions but they are not the same. A theory of what I am saying is not the same as a theory of what makes my sentence true. Thus, you set up possible worlds as an answer to a question that they are not designed to answer. You might reply that the argument still goes through because counterfacutals can be true or false: but a very popular conception of truth (the minimalist or disquotational one) neatly sidesteps this problem by denying that true sentences need to have any metaphysical truthmakers. They just need to be assertable. In other words, why not see modal realism as a reductio of correspondence-theories of truth? Especially when it leads us to use the word 'exist' in a manner which is directly opposed to the ordinary sense of the word? This was a wonderful and witty post, thanks! Still, I am not sure this is any more than a simple aesthetic preference on my part. I don't think this is a merely aesthetic preference, if you're trying to use anthropic reasoning plus a multiverse to actually explain why our world has these specific properties. But on its own it doesn't help with contingency; we can ask 'why is the pluriverse the precise way it is?' just as we can ask 'why is the universe the precise way it is? ', and in both cases answering 'it's just brutely necessary' is clearly inadequate. "we can ask 'why is the pluriverse the precise way it is?' just as we can ask 'why is the universe the precise way it is?" why is this "just as we can ask"? I consider myself a modal realist, but I'm not a realist about other possible worlds. Instead, I'm a realist about causes/powers/natural laws. The truthmaker for the claim that I might have had cereal this morning is the fact about the actual world that this morning I had a certain ability (which was based on the fact that there was cereal in my cupboard, that I knew how to eat cereal, and so on). Is the label "modal realism" generally taken to refer only to possible-world realism like Lewis's, or is it taken to apply more generally to any view that is non-defationary about claims of possibility? "It all comes down to the deceptively simple act of thinking about how things might have gone differently. I had eggs for breakfast, but I could have had cereal instead; since I do have a box of Cheerios in my cupboard and a carton of milk in my refrigerator, surely that latter part is true . But what makes it true? Certainly not me, who didn’t actually eat cereal; certainly not the cereal, which actually remains uneaten; certainly not anything else in this world, all of which seems somewhat irrelevant." about causes, then it is about the justification for my following the rule in the way I do. If I have exhausted the justifications I have reached bedrock, and my spade is turned. Then I am inclined to say: "This is simply what I do." of their content, but of their form. Our requirement is an architectural one; the definition a kind of ornamental coping that supports nothing.)" How does this thinking differ in a meaningful way from MWI, which essentially defines the set of possible outcomes that are all realized in a branch of the wave function? ISTM that you're better off adopting MWI, because at least you can point to a potential set of possible outcomes corresponding to the density matrix, the reality we realize being the trace but the off diagonal elements do not *actually* go to zero. So no collapse of the wave function, all possible outcomes realized. The difference seems to be that modal realists just posit an alternative possibility and that's good enough to generate another universe in which another possibility is realized (or a set of space-time coordinates possibly beyond our observable horizon). But there's the problem of how these regions would be connected if you don't have some initial starting point like a wave function / density matrix that defines these branches. "I may say that I might have had cereal, but what I really mean is something like, “there exists a possible world on which I had cereal.”"
All you've actually done is point out your recognition of available options for the choosing of behaviors in the world you've found yourself in, and there's no logical reason to assume the distinct possibility of another world where cereal exists from the visual observation that cereal exists as an alternate choice in this one. We live in a world that evolves by intelligently reacting to accidents. Contrary to what such scientists as Hawking argue, and some philosophers as well, any other world that exists to evolve in the same randomly probabilistic manner would be as different from ours as its possibilities would allow. The laws that regulate our myriad of causal sequences would see to it. And of course in any set of determinative universes nothing could be truly said to evolve at all. Even if all those universes existed I wouldn't be a modal realist. In any of them. "If A had said X to B, B should never have spoken to A again." Might that mean that because he could have, he decided that he would, and in the process realized that he shouldn't have? This morning, if Leonard had been out of eggs, he would have had cereal for breakfast. It's possible that Leonard had eggs for breakfast this morning. It's necessary that Leonard had cereal for breakfast this morning. Standard formal modal logic represents an outline theory of the truth conditions of such statements (and intensional statements generally), one in which the components of such statements are related in some way to entities (e.g., possible worlds) in some set. I say "outline theory" because the formalism supports a range of philosophical interpretation. From the point of view of good philosophy, then, the basic question is not the nature of possible worlds, or, more generally, the correct philosophical interpretation of standard modal logic, but whether the general approach to relevant truth conditions is correct. My view on the relevant truth conditions is that modal talk is always talk about logical consistency in some manner, and not always in ways that relate gracefully if all to possible worlds talk. On this view: A proposition is logically necessary if its negation is inconsistent with truths of logic (it entails a contradiction). A proposition is logically possible if it is consistent with truths of logic (does not entail a contradiction). Physical necessity and possibility concern consistency with truths of physics. A proposition is physically necessary if its negation is inconsistent with the truths of physics. A proposition is physically possible if it is consistent with the truths of physics. Similarly, practical and epistemic necessity and possibility relate to consistency with truths of circumstance and what is known respectively. If A had said X to B, B (morally) should never have spoken to A again. What's the truth condition of this? In possible worlds language it would something like: the above proposition is true just in case in every possible world in which everything happens in a way consistent with moral truth, if A says X to B, B never speaks to A again. Things are simpler and I think better with the consistency approach; on this view, the above proposition is true just in case the proposition that A says X to B and B continues to speak to A is inconsistent with moral truth. Generally, understanding the truth conditions of counterfactual or modal propositions is a matter of finding the consistency referent (that with respect to which consistency is in question). I haven't really given much of an argument for my position, so my point here is that one try the consistency approach before locking oneself and one's infinite doubles in the possible worlds asylum. The only thing I like about possible worlds is that we don't happen to live in one in which talking about them is necessary. "I had eggs for breakfast, but I could have had cereal instead." "I had eggs for breakfast because . . ., but I could have had cereal instead if . . . ."
"I decided to eat, but I could have decided not to eat." "They offered him eggs or cereal for breakfast and watched him eat eggs." When you say you could have had a different breakfast than the one you did, it seems to me to imply that in a general sense we have the ability to act in a way that is different from the way we acted, and "I could have had cereal instead" seems true to me because I consider the underlying necessities like your ability and a box of cereal were present, and, the assumption of your level of free will, in this case, reasonably possible. Generally, I think the trueness of similar propositions are based on our experience of this world, and that their trueness is arrived at through something like Bayesian logic, and the trueness of your proposition is so comfortably close to a categorical true that we say it is true. So specifically, I think your proposition's trueness is relying on the generally accepted form of that type of proposition (based on experience and convention), and, your apparent ability in this case to have acted differently and to have exacted a different outcome. I could have had cereal for breakfast. where what we have is a non-actual (false) proposition, viz. 'I had cereal for breakfast', to which the "could" operator has been applied. Now the question becomes: What is "could" saying about the non-actual proposition here? 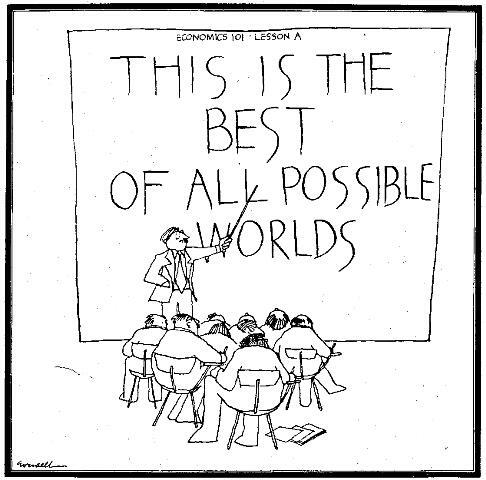 Is it saying that there is a reality other than ours (a "possible world") such that the non-actual proposition accurately represents states of affairs in that reality and hence makes it true relative to that other world? Let's hope not! Having had cereal for breakfast was practically possible. The circumstances you mentioned, Marc, are relevant to such practical possibility in that practical possibility is related to the nature of such circumstances. In making the claim, 'I could have had cereal for breakfast', in the practical possibility sense, one is in part making a claim about the nature of relevant circumstances. Cereal was a practical possibility, though not one pursued. Now like the word 'contingent', the modal auxiliary 'could' is a close cognate of 'possible'. For this reason, 'could' is subject to at least some of the (modal) varieties and grades of 'possible'. To illustrate, if one weakens 'could' from practical possibility to physical or logical possibility, one is no longer limited by what is in the fridge. Speaking in terms of physical possibility, one could have had part of a 20 ton ostrich sandwich for breakfast. Speaking in terms of logical possibility, one could have had leg of vampire for breakfast. 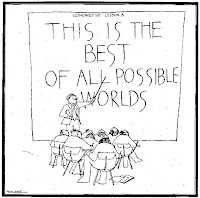 I see how one can bring up the idea of actual "possible worlds" but I don't think it is necessary to look at how constructions that use things like "could", "might have", "was possible", or "should in-stead" are made to be or feel true. So I think we agree there. Continuing my line of thought (line ? humph) , I think a 20 ton ostrich breakfast or a vampire leg breakfast are very low on the trueness scale for the average person because they imply a much greater set of added on "if"s to be considered true than does "I could have had cereal for breakfast". For example, "I could have had part of a 20 ton ostrich sandwich for breakfast" requires, for me anyway, thinking things like "if 70 million years ago the meteor missed the earth (or whatever), then if dinosaurs did not go extinct so the conditions were ripe for a 20 ton ostrich, and then if somehow humans also evolved in a similar fashion as they have, and in all this I still also came into being and am somehow the same person I am today", andddd we believe reality does not unfold in a set way, then, I can say it is true that "I could have had part of a 20 ton ostrich sandwich for breakfast". It takes a bit more imagination for "I could have had leg of vampire for breakfast" but I think one can do it and make it true (i.e, one can think or feel it is true even though most people may say it is not). A proposition with an intermediate associated "if" count, between the cereal example and the ostrich example, could be "Mary could have gotten an A if she had studied more". "The coin could have turned up heads on the first throw"
Maybe what I'm saying is there is nothing special about counterfactuals , and their truth is on a continuum and each person entertains different positions on the trueness of different past possibles, but we are also bound by convention, so we usually collapse(?) trueness to true in the cereal example, and trueness to false in the ostrich and vampire example, and even in the heads up example we still appear to be discounting "if"s when we say it *is* true. I think we treat all those examples logically(? ), i.e., we get their meanings through all the things, at all the levels, they refer to, and we get their trueness by considering all these factors simultaneously, and we do this mostly unconsciously most of the time. On a fair coin I 100% believe there is a 50% chance of heads or tails, and when I say "The coin could have turned up heads on the first throw" I 100% believe that at the time of the throw there was a 50% chance of it turning up heads, what I'm not sure of 100% is if the coin could have turned up other than the way it did at the time it did. I'm not even sure if I agree 100% with what I just said, in part because I feel more comfortable saying I believe 99.99999... that "the coin could have turned up heads on the first throw". I don't believe that the coin could have done anything at all, but it's 100% in my opinion that under what we understand of the laws of probability in an uncertain universe the coin could have come up either way. The questions we can never answer are should or would it. With your concern about historical "ifs" what you're effectively doing is trying to reduce weaker grades of modality - i.e., physical and logical possibility - to practical possibility; you're thinking: how would history have had to be different to make it practically possible to have had part of an ostrich sandwich that weighs 20 tons, or leg of vampire, for breakfast. This misses the point of weaker grades of modality. When we ask whether having had cereal for breakfast was practically possible, we ask whether the false proposition, 'I had cereal for breakfast', is consistent with breakfast-time circumstances. The ostrich sandwich and vampire leg cases are similar except that instead of relating relevant propositions to breakfast circumstances (something only a concern with practical possibility) such propositions are related to truths of physics and truths of logic respectively. In my view, that is what modality is all about: relating propositions (generally false ones) to various sorts of truth sets. Btw, probability has nothing to do with modality essentially. Something, like it or not, that's only a concern with practical possibility can't help but have something to do with probability. I feel all the examples are related to practical, physical, and logical possibility, simultaneously. Even the breakfast and the coin example. I brought up the coin example because, at this point anyway, I feel it simply lays out the questions of practical (including historically practical), physical, and logical possibility, and leaves us essentially with the question of "is it possible for the past to have been other than it has been". And I think that question is always part of what is being considered when truth is being evaluated no matter what else is being simultaneously considered. In short, I think the brain is not necessarily categorizing those statements into practical, physical, and logical possibility before it attributes trueness. That said, and after investigating some of your terminology, I'm only now seeing these questions as part of Modal Metaphysics , moreover that includes statements like “It is possible for me to be a dentist” which appears to be more about the future than the past. So I'm now looking forward to Leonard Finkelman's Part 2. I can assure you that there is no possible world where you could possibly be a dentist except this one, where for all we know you're wrong about that possibility. By the way, we use language for a cultural set of agreed upon communicative purposes, unless of course you don't agree that there could or should be any purposes there to agree upon. If our brains don't seem to distinguish between grades of modality it's probably because practical possibility is sort of the default modal grade of words like 'possible' and 'could'. Higher grades of modality, though present in ordinary language, are a bit more theoretical. I'm sure our brains can be taught these subtleties, however, and what better teachers than ourselves. Regarding the relations between the modal grades, the stronger include in the weaker in that anything practically possible is physically and logically possible, and anything physically possible is logically possible. It's a mistake however to take the conditions bearing on stronger grades as bearing on weaker grades. Regarding whether it's possible for you to be a dentist, whether it has to do with the past or the present and future depends on how the question is worded. The question of whether it was possible for you to be a dentist now concerns the past. The question of whether it is possible for you to be a dentist in the future depends on conditions in the present and in future presents. It's something that can be re-evaluated at each future point with different outcomes. Suppose it is possible now, for instance, but tomorrow you spend all your tuition money on a Ferrari or insult the dean of the dental school, etc. Circumstances change, and with them the practical possibility of future possibilities. "Btw, probability has nothing to do with modality essentially." "Circumstances change, and with them the practical possibility of future possibilities." So circumstances probably change but future possibilities are not similarly or relevantly probable. Perhaps probability represents a purpose that changes in these circumstances won't serve??? Suppose the practical possibility of Marc's going to dental school depends on a certain state of affairs with a probability of .7 occurring in the near future. This probability concerns only *whether or not* Marc's going to dental school is practically possible and does not concern the meaning of 'practically possible'. What I mean in saying that probability has nothing to do with modality essentially is that probability is not part of the meaning of 'practical possibility'. Sure probabilistic thinking can be used in connection with modal thinking, but that's not what I mean by an essential connection. Marc has a certain probability of buying a Ferrari next week, but this doesn't mean that buying a Ferrari is an essentially probabilistic notion. "What I mean in saying that probability has nothing to do with modality essentially is that probability is not part of the meaning of 'practical possibility'." If so, then you have a problem with attaching what we've come to expect as real meaning to your modality theory. You seem to be arguing that we can experience possibility but not its probability. But you must realize that all of our thinking processes are based on the establishment of probabilities as they relate to possibilities. Your theory tells us nothing meaningful when it tries to divide and separate the concept by having us unexpect one part of it while at the same time continuing to expect the other. Assuming this is true, it doesn't mean that all of the concepts we use to understand the world require reference to probability to be explained. No, it just means that we can't meaningfully divide the functional concept of possibility/probability into separately dichotomous concepts. I would agree that we can't understand probability without the notion of possibility. Possibilities are what probabilities are applied to. I think possibility is a more fundamental concept, however, and that this why possibility can be understood without concern with probability. Another aspect of this is the distinction between epistemic modality (possibility with respect to what is known) and ontic modality (possibility with respect to reality). At least outside of physics, probability is an epistemic notion and concerns largely only epistemic possibility. Probability has little to do with considerations of ontic possibility. Consider for example the question of whether a rabbit-like creature that stands 1000 feet tall is physically possible. This question is basically that of whether the existence of such a creature would mean violation of the truths of physics, a question with regard to which probability is irrelevant. But then you've ignored any consideration as to whether your 1000 foot tall rabbit is at all possible without other aspects of the possible to probable spectrum coming into play. Instead you've effectively found the proverbial exception that proves the rule. Also if you want to do without comparing possibility to the probable, you're left with the necessity to compare it with the impossible instead. None of our terms mean anything unless compared somewhere to others that they don't mean. I don't see that as being the case, I think the brain does distinguish, practical, logical, historical, physical ... But then I'm also not sure how you are using the word grade in this context. >because practical possibility is sort of the default modal grade of words like 'possible' and 'could'. Higher grades of modality, though present in ordinary language, are a bit more theoretical. I'm not following. The first quote is from a previous comment of yours and it seems to contradict the second quote. Do you mean practical or logical is the weaker and lower 'grade' or vice versa ? > It's a mistake however to take the conditions bearing on stronger grades as bearing on weaker grades. Could you give me an example ? And then of course that is the small problem in the "act" of thinking? Is this a somehow meaningful redundancy? It seems to be a game of who can attain the greatest range of inferences from the smallest clue, probabilities be damned.